Since our first discovery, we’ve revisited many times, stuffing ourselves silly with amazing pork chop, lamb, jelly fish and tripe dishes, but I keep going back for my three favorites – wonton soup, sautéed loofah (or spongy squash) and double cooked fish fillets with chili and leeks. It never disappoints. Outside of Chinatown or Flushing, wontons seem to get a bad “wrap”. Thick, sticky and chewy exteriors with bland fillings, swimming in bad yellow hued water. 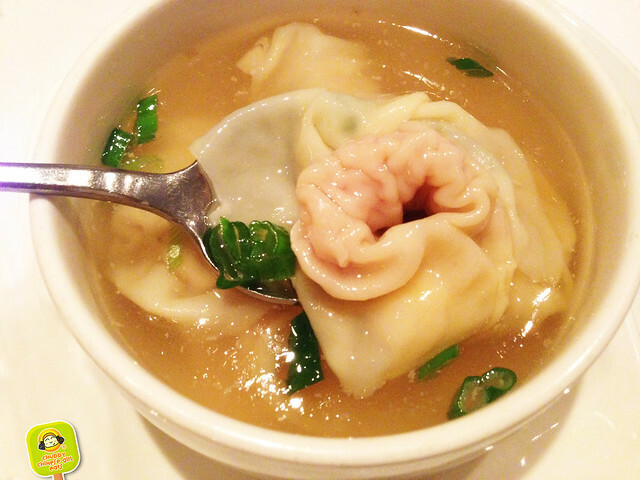 Their version however, is quite authentic – down to the shape of the wontons. It might not be the best wonton in the city, but the thin wrap and balanced filling definitely is my go-to whenever I want a comforting soup on this side of town. This is one of my favorite veggies. Spongy squash is a good way to describe it. 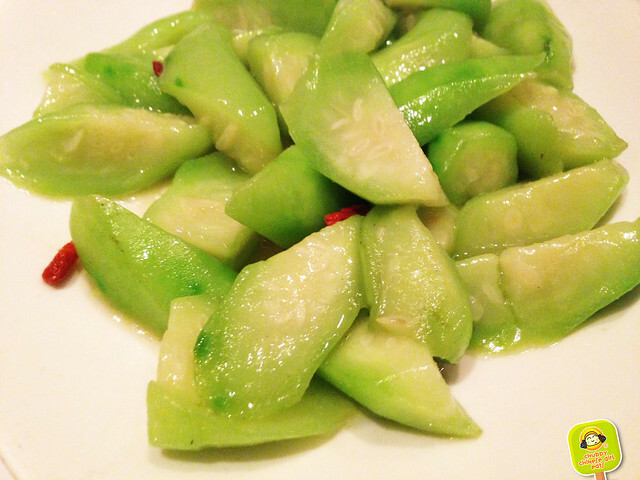 But to me, it’s more like a cross between cooked cucumber and zucchini. There’s a sweetness and freshness that I love. And yes, it’s a little spongy in texture. This version is simply sautéed with goji berries. Other restaurants usually prepare it with dried shrimp or scallops. This is a flavor explosion. 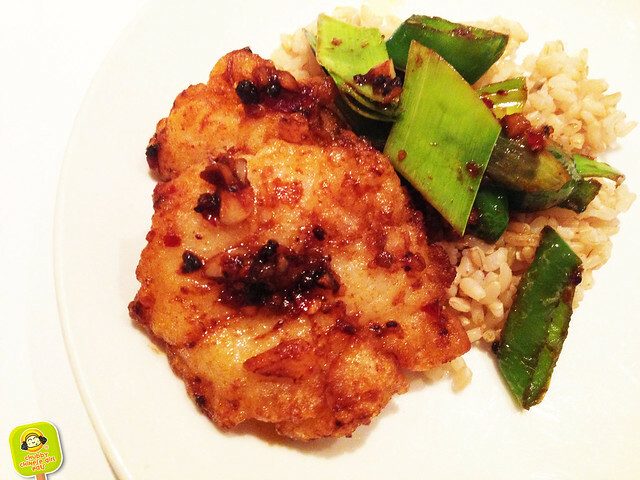 The fish is moist and covered in a semi crisp exterior. Sichuan peppercorns with black beans, garlic, peppers, scallions and chili. 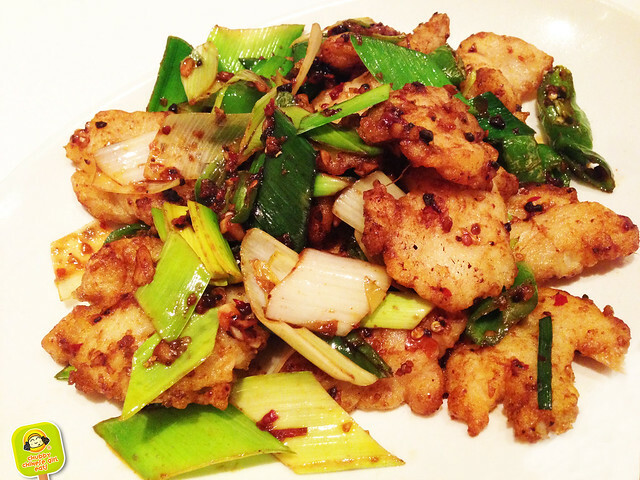 A little tingling from the heat – “mala” sensation from the Sichuan side. Pops of salty black bean and another layer of garlicky spiciness from the fresh chili peppers. The leeks have absorbed all flavors, while remaining crunchy and bright. Great over rice. A close up – hands down, my favorite dish at Land of Plenty. Their wines are also quite reasonably priced. Riesling and spicy foods are a great match. Spicy dishes are seriously packed with heat. So make sure you ask for a level you are comfortable with.